Time flies and new history is catching up with old history. People often say the new creations surpass the old ones with the world going on and technology advancing. However, what the legendary Leica shows its old ones are never replaced across the passing of time, or some even are not surpassed by new comers. The handmade Leica M3, Leica’s first M camera with bayonet lens mount, is what can be absolutely served as a certification. M3 produced in 1954 is considered the world’s best 35mm rangefinder camera. Leica M3’s viewfinder and rangefinder are the first combined into one window, which provided the most advanced photographic apparatus at that time and it is still not surpassed today. It consists of an extremely bright viewfinder which is better than any previous and later models including Leica’s digital M9. The viewfinder of M3 contains the highest magnification factor of 0.91X among Leica cameras as the later Leica cameras are constructed with lower magnification factors, 0.85X, 0.72X or 0.58X. Its viewfinder is also the first one which provides three automatically chosen frame lines for the corresponding 50mm, 90mm and 135mm lenses. 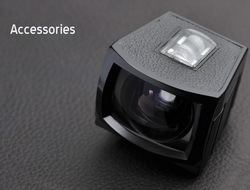 Moreover, M3 consists of the largest, clearest and most accurate flare-free rangefinder among other cameras. It also provides the most precise focus when compared to any Leica cameras, because of its longest effective baseline of 62.3mm. Besides, Leica M3 contains smooth and quiet curtain shutter which allows photographers to capture the natural expression of people who are not disturbed. 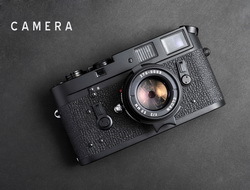 Unlike prior screw mount Leica cameras whose slow and fast speeds are separated into two shutter speed dials, Leica M3 combined slow and fast speeds into one dial without the dial rotating during shooting. This change helps reduce vibrations in the camera so as to maintain stable photo shooting. Leica produced 220 thousand pieces of M3. There are silver chromium, black, olive green and gold M3 exist. Silver chromium has the largest number of production of about 216 thousand pieces. Black paint has only 3010 pieces of production. The black paint version, which is suitable for capturing documentary and scientific video, was made for professional journalists. Olive green with only 144 pieces of production was specially made for German Army. Its camera body was engraved “Bundeseigentum” (Federal property) and military code. Moreover, gold M3 is very rare that it has only two pieces of production. One of them was given to the founder of Leica, Ernst Leitz, in 1961. The second one was made to honor Alfred Eisenstaedt, famous American photographer and photojournalist, for his lifelong contribution to photojournalism. 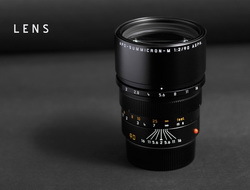 M3 is compatible with all the Leica M lenses produced from 1954 to current and compatible with all the screw mount lenses from 1933 to current by using a simple adapter. Without affected by passing time, Leica M can still function perfectly nowadays after 50 years from its birth. Time passes and new history keeps going on. However, Leica M cameras can withstand the test of time and history. Leica M3, being the best and most precise camera, has never lost its photographic status.